Cynthia Siegel began her work in clay with the expression of her delight in beauty, and in the pleasure of making beautiful objects for everyday use. With the exception of an informal five-month apprenticeship in Jerusalem, she primarily taught herself to be a potter. Siegel lived and worked for seven years as a full-time studio potter in the remote town of Bishop, CA, in the Eastern Sierra high desert. In the making of her pottery, she sought to bring together her inspiration from both the rugged local landscapes surrounding her home, and her travel experiences in Asia. Traveling through the temples of South India sparked an evolution of Siegel’s work. Soon after moving to the central coast of California, she began to focus her work on the expressive possibilities of the figure, exploring how the inner workings of thought, imagination, and longing manifest externally on the figurative form. 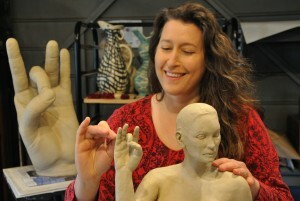 Siegel exhibits her work nationally and internationally, recently receiving awards at the Taiwan Ceramics Biennale and the Cheongju International Craft Biennale. She has presented lectures and workshops in India, Israel, Taiwan, New Zealand, and the USA. 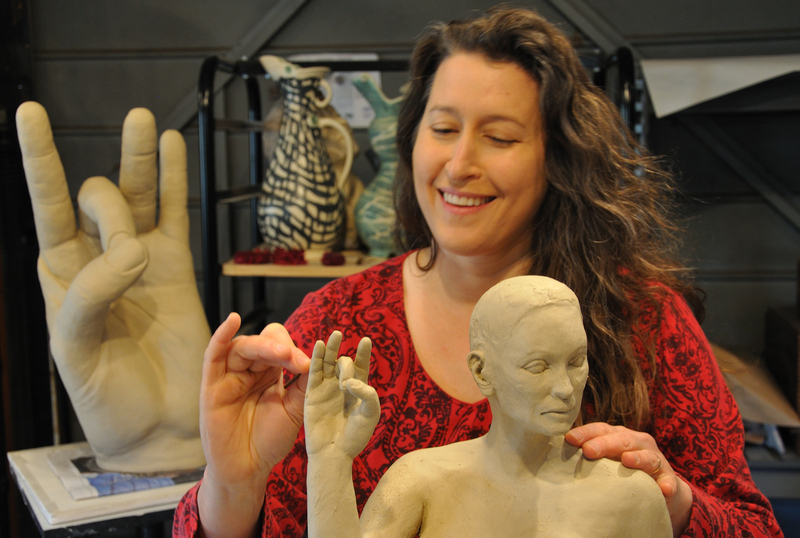 She received her MFA from San Jose State University, and teaches regularly in the ceramics departments of Cabrillo College and Foothill College. Cynthia Siegel lives and works in Santa Cruz, CA, and was recently selected for a 2014-2015 Fulbright-Nehru Academic and Professional Excellence Award to live and work in India. I am Dr.Karthik Deepa from the department of Education ,Avinashilingam University for women, Coimbatore. There are 200 students in our department studying various subjects. It would be very useful if you come and visit our students and share your ideas with them. Thank you, we are looking forward for your replay. It is our pleasure to have a Fulbright scholar in our institution.